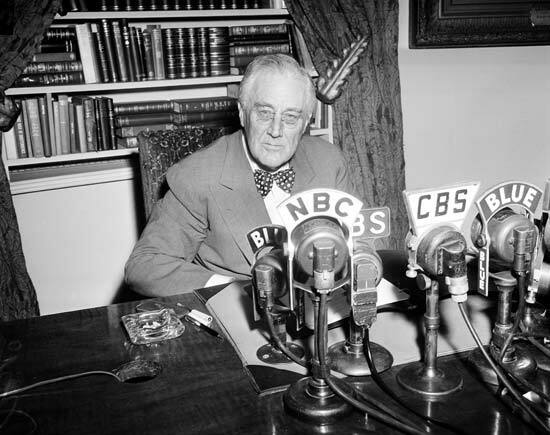 CAN YOU COMPARE OBAMA’S GOOGLE+ CHATS TO FDR’S FIRESIDE CHATS? President Obama expanded his social media experience by holding a Google+ video chat room interview on Monday afternoon with questions chosen by Google from among the most top-rated. Google maintains the White House had no role in the selection of the participants. Obama also held a similar Facebook town hall in Palo Alto, California, in the spring, and a YouTube town hall at the White House in February. The President’s campaign stated that the Social Media used in 2012 will make the 2008 election seem prehistoric. Although President Obama could have taken some pointers about pumping up the country from his predecessor, President Franklin D. Roosevelt. FDR was on a mission and worked with his administration to find ways to counteract the feeling of defeat that was sweeping the country during the Great Depression. His action plan consisted of having every type of media agree to run positive stories, churches to deliver sermons guaranteed to inspire the congregations, and at least for the first 100 days even got the leaders of both parties and both houses of congress to set aside political differences and support an upbeat spirit of winning and being positive. President Obama has also been good about engaging with Americans via Social Media and even caused the “Change” and “Yes We Can” revolution. However, as strong as his administration is in using Social Media, they tend to focus on it during the elections. In my opinion, the President would have done better had he focused his use of Social Media during the first 100 days, especially, to unite Americans. Additionally, his administration could have done Live Chats explaining the President’s “high expenditure” policies that has caused unbelievable debt. 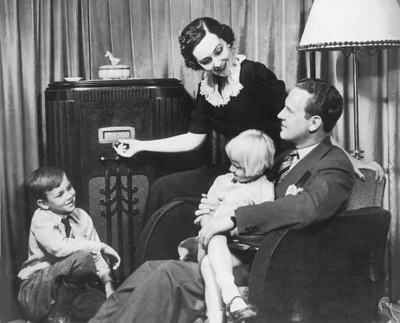 For example, FDR began his radio broadcasts while he was governor of New York, and those had been so effective that when he became president they were reinstituted as a way to inspire and encourage people to believe in themselves and their country. From the first broadcast being a month after he took office, April 12, 1933 to the final broadcast June 12, 1944, a year before he left office. While President Obama has not been as fervent as President Roosevelt in engaging with his fellow Americans during his term, his social media tactics have caused him to receive an incredible following. It’s no longer simply the young generation on-line, but it is the majority of the country. President Obama figured out that the power of Social Media wins elections just as companies are slowly finding out that Social Media is the majority of future revenue. 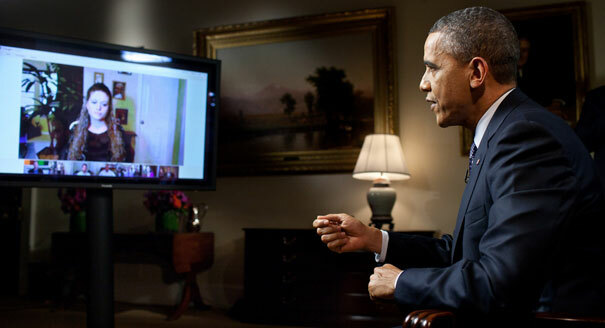 Yesterday, the President’s LIVE video chat room included five Americans in cities across the country. 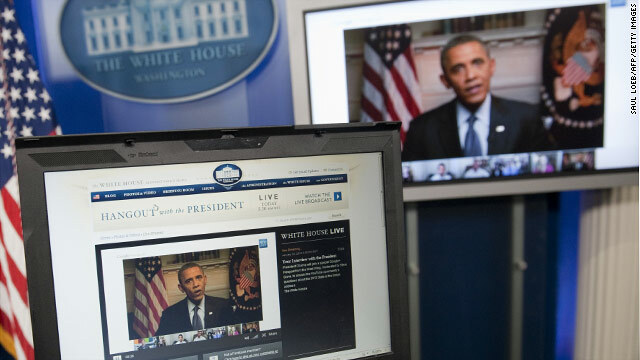 Participants were able to follow-up with the president after his answers in real-time. Jennifer Wedel in Fort Worth, Texas, asked the president why the government continues to extend visas for immigrant workers when there are many people, like her husband, who have been out of work. President Obama offered to look at her husband’s resume to help him find an engineering job.